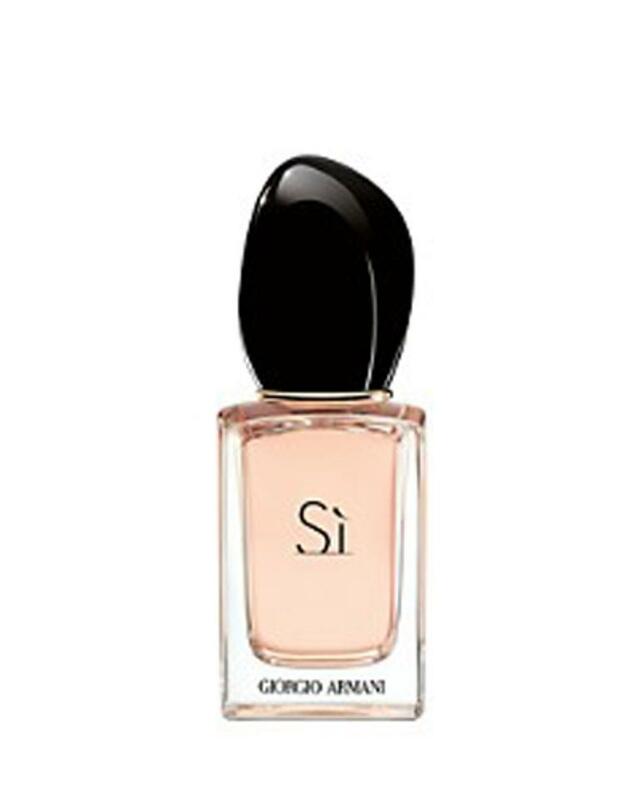 Brand NEW unused Giorgio Armani Si Eau de Parfum Mini bottle (.25oz / 7.5mL). A collectible bottle that is a true mini version of the full size original. Can be used for travel, to carry in your purse, or just to try out! An aromatic rose scented fragrance. At once chic, voluptuous, intense, and soft, Si eau de parfum lingers on the skin and enchants the senses. The distinguished and elegant fragrance allows women to express their every emotion. Si has a top note of blackcurrant nectar, a heart of freesia and Rose of Mai, with a musky blond wood base. This fragrance was created for the modern woman who's strong yet feminine, sophisticated yet charismatic. She embodies the very essence of chic Italian elegance and style.